Antonio Santi Giuseppe Meucci was an Italian inventor. It can be argued that it was Meucci who was the first to invent the telephone rather than Alexander Graham Bell. He is known best as a voice communication apparatus developer. In his home at Staten Island, New York, Meucci set up a voice communication link that connected its laboratory to his bedroom located in the second floor. He filed a patent caveat (a temporary applicationn) to the US Patent Office for his telephonic device in 1871. However electromagnetic transmission of vocal sound was not mentioned in his patent caveat. It was Alexander Graham Bell, in 1876, who patented the telephone. On April 13 1808, an inventor was born at Via dei Serragli 44 in the San Frediano region of Florence, Grand Duchy of Tuscany, which is now in Italy. Antonio Meucci was the eldest child of the nine children to Domenica Pepi and Amatis Meucci. Antonio’s mother was the housekeeper and his father worked as policeman and as a government clerk. Unfortunately, only four out of Meucci’s nine siblings survived childhood. At the age of 15, in November 1821, Meucci was admitted to Florence Academy of Fine Arts where he was the youngest student in his mechanical and chemical engineering classes. He studied for six years, working part-time as an assistant gate-keeper in Florence to finance his studies. In 1830, Meucci worked as a stage designer and technician for various theatres and in 1833 he obtained a position at the famous opera house, Teatro della Pergola as assistant chief mechanic. In 1834, Meucci designed an acoustic pipe telephone to allow communication between the stage and the control room at the Teatro della Pergola. This type of telephone was based on the pipe telephones utilized on ships. On August 7, 1834 Meucci married Esterre Mochi, a costume designer who also worked at the Teatro della Pergola. From 1833 to 1834, Antonio Meucci was imprisoned for three months because he was accused of being part of a conspiracy involving the Italian unification movement. Leaving political troubles behind them, Meucci and his wife immigrated to Cuba in 1835 where he accepted a position as chief engineer at the theatre, Gran Teatro de Tacon in Havana. Meucci devised a water purification system to help Havana residents get clean, safe water. In 1844 Meucci obtained a four year contract for electroplating supplies for the army and he established an electroplating factory. He invented new systems for the theatre including, automatic moving curtains. The same year, his daughter was born. In 1847, Meucci helped reconstruct the theatre after it was damaged by a hurricane. As Meucci’s contract with the Governor expired in 1848, Meucci took an interest in experimenting with electricity to relieve pain. In his laboratory at the back of the theatre, he developed a method of using electric impulses as a remedy to cure illness. During a treatment for migraine on a patient in 1849, Meucci accidently discovered the “electrophonic” effect using oral electrodes. Meucci was intrigued and continued more experiments. 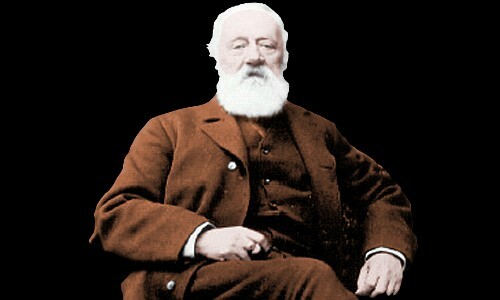 He designed a device he called the “telegrafo parlante” or talking telegraph. The success of this invention inspired Meucci to make inventing his way of living. On April 13, 1850, Meucci and his wife moved to United States and lived in the Clifton borough of Staten Island, New York. They would remain there for the rest of their lives. Using his substantial savings from Cuba, in 1851 he built the Clifton brewery financed as a joint venture between himself and his longstanding friend Giuseppe Garibaldi. Meucci also built a tallow candle factory which was the first of its kind in the America. Meucci continued to investigate electromagnetic voice communication for many years and in 1856, he succeeded in broadcasting his voice through wires. He set up a telephone-style piece of equipment in his house so he could communicate easily with his wife who was now an invalid with rheumatoid arthritis. He designed a working model connecting with his basement laboratory and second floor bedroom so he could contact his wife. Between the years 1856 and 1870, Meucci developed more than 30 types of telephone based on his prototype. Meucci unfortunately lacked finances to support his inventions, not helped by the bankruptcy of his candle factory. He was badly scalded in a fire in 1871 and this has a devastating effect on his finances. Meucci did not give up on his telephone invention though. In December 12, 1871, he set up an agreement with Sereno G. P. Breguglia Tremeschin, Angelo Antonio Tremeschin, and Angelo Zilio Gandi to form the Telettrofono Company. He applied for a patent caveat (a temporary application) entitled “Sound Telegraph” on December 28, 1871 in the US Patent Office. However electromagnetic transmission of vocal sound was not mentioned in his patent caveat and his temporary patent lapsed in 1874. A. Graham Bell was granted a patent in 1875. Meucci continued inventing and designing throughout his life. He held numerous American patents including those for candle molds, a lamp burner, a hygrometer and a method of testing milk. Meucci died in aged 81 on 18 October 1889 after a long illness.